Doctor Who fans are used to making the best of a bad situation. Even before the long dark days when the show was off the air, relegated to the cupboard of cheesy pop culture ephemera, even when he was crammed into a terrible TV movie for American audiences, even when he looked like Colin Baker, we kept the faith. Through cheap special effects, hammy acting, clunky scripts and ramshackle production, we excused it all, because underneath was something brilliant: a story about a mercurial, incurably curious, pacifist eccentric with all of time and space at his fingertips. Even at its worst, Doctor Who always offered the broadest canvas possible, a rainbow of narrative colour and a twinkle-eyed madman for a brush. It's perhaps this daunting universe of possibilities that has kept Gallifrey's wayward son from finding a satisfactory home in gaming. Games skew towards protagonists who favour direct action, those who lead with the fist and the gun rather than intellect and wit, which means that to truly capture the spirit of Doctor Who, a game would have to break out of the comfortable paradigms that have served TV and movie spin-offs so faithfully all these years. The Eternity Clock certainly isn't looking to innovate. After the flawed adventure games, a well-intentioned iOS game and the woeful Wii/DS double whammy of Return to Earth and Evacuation Earth, this one goes right back to old-school basics: it's a 2D platform game. In that regard, it's no more ambitious - and no more true to the show - than Doctor Who and the Mines of Terror. So when this fourth attempt at a Doctor Who game in two years kicks off and immediately looks cheap and cheesy, it's hard to be too outraged. The fan defences go up, and we start looking for the good stuff underneath. Sadly, in this case, it's just not there. Let's get the good news out of the way first. Matt Smith voices the Doctor, and does it with his customary zeal. It's a fun performance and the script manages to give him a few funny lines that feel like they could have come from the show. "Skittering," he mutters to himself as some shadowy creature skitters past. "Skittering is never good." That's about it as far as positives go, however. The rest of The Eternity Clock is pretty dire, a low-energy effort where poor design tangles up with clunky execution, leaving the player frustrated and bored in equal measure. Control is a key factor in this. Simply jumping, climbing and crawling around the stock corridor environments is a twitchy, unsatisfying chore. Movement is the key mechanic of any platform game. It has to feel right. But The Eternity Clock falls far short of this standard. There's a distracting disconnection between player and character, as well as character and scenery, and too much gameplay is lost in the gap as the Doctor flails, flickers and floats around. The Doctor has his sonic screwdriver of course, and the right stick allows you to direct this around the screen so it can provide hints. Point it at a locked door and you play a quick wave-matching mini-game to open it. Point it at a mechanism and you can control it. It's one of the few elements that feels authentic, but the puzzles in the game are basic join-the-dots, rotate-the-rings affairs that feel more like they belong in a 99p activity book than a video game. Things don't improve when River Song is introduced. Your first task here is to help her escape from the Stormcage facility, which involves some crude stealth work as you dodge spotlights and crouch behind rigid doll-like guards with regional British accents, disabling them with a kiss of hallucinogenic lipstick. As with the platforming, the controls are sticky, the boundaries of the gameworld indistinct. An inauspicious start, then, but sadly the game gets worse rather than better as it progresses. It soon settles into a rhythm of blandly anonymous sections where you climb and jump, not because it's fun to explore and navigate the environment but because there's only one way forwards, punctuated by awkward scenarios that boggle the mind with their slack design. At one point, River Song is left to fend off Cybermen in a London office block while the Doctor jaunts back to 1892 to tinker with the plans for a gas main because an explosion has blocked their path in the present day, and he needs to make it blow up elsewhere. The game is extremely bad at explaining what, precisely, it expects you to do in these situations but it soon becomes clear that you need to get into a security office at the top. Agonising trial-and-error eventually reveals that the solution to the problem is to stand around, doing literally nothing for several minutes, and wait for Cybermen to break a window. It's a puzzle that is both maddeningly frustrating at first, then insultingly stupid once you work it out, and it's indicative of the level of care that has gone into The Eternity Clock. The game is stuffed full of moments like this, where you fumble around trying to work out what the game wants you to do in order to avoid instant death, only to be disappointed with how illogical and annoying the solution is when you finally figure it out. What else does the game offer to compensate for such fundamental weakness? Not a lot. There's co-operative play, but like so much else here it's basic in the extreme. 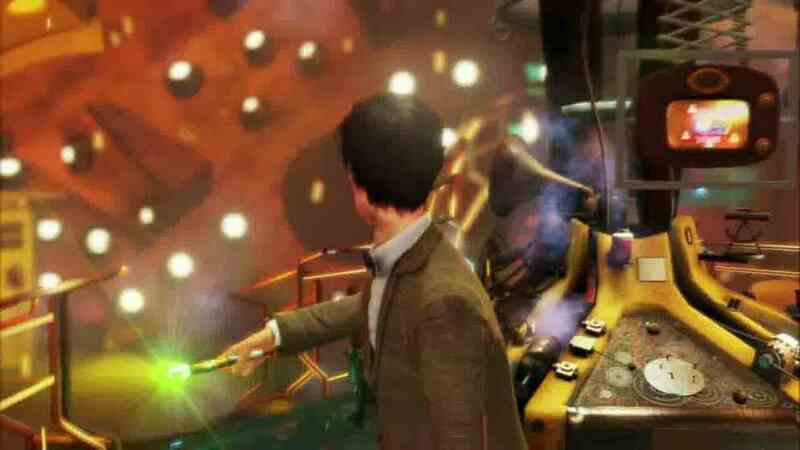 A local, split-screen affair only, there are sporadic moments where the Doctor and River must help each other reach higher platforms, or occasionally activate buttons at the same time, but for the most part having two players simultaneously is no different to controlling each in turn as a solo player. Even here, the implementation is woefully creaky. Not only is there no online co-op, but even locally there's no way to join a game already in progress. Once you start a single-player game, that's it. If you want to play co-op, you need to start over with a save game that can only ever be played in split-screen. It's positively prehistoric. Indeed, the only tangible benefit to co-op is that having a second player as River eliminates some of the game's worst glitches, as the AI version of the character frequently gets stuck in place, refusing to stand up after a crouch or hanging in mid-jump. And there are collectibles, of course: 40 pages from River's spoilerific journal and 40 hats for the chapeau-obsessed Doctor. What do these items offer once collected? Nothing. They're literally there for the sake of it, and the fact that the Doctor can collect hats but never actually wear them is yet another illustration of The Eternity Clock's "will this do?" approach. And so it goes on. Drab A-to-B platforming leads to clumsy stealth sections which blunder into infuriating difficulty spikes brought about by inexplicable design rather than anything actually challenging. Younger fans, in particular, will find it virtually unplayable. It didn't have to be this way, of course. Ubisoft's rather lovely Tintingame showed that side-on platforming can still mesh with a licensed property, provided the mechanics work and complement the characters, but Doctor Who, with its twitchy control and fussy design, has more in common with the dire downloadable War of the Worlds than anything else. 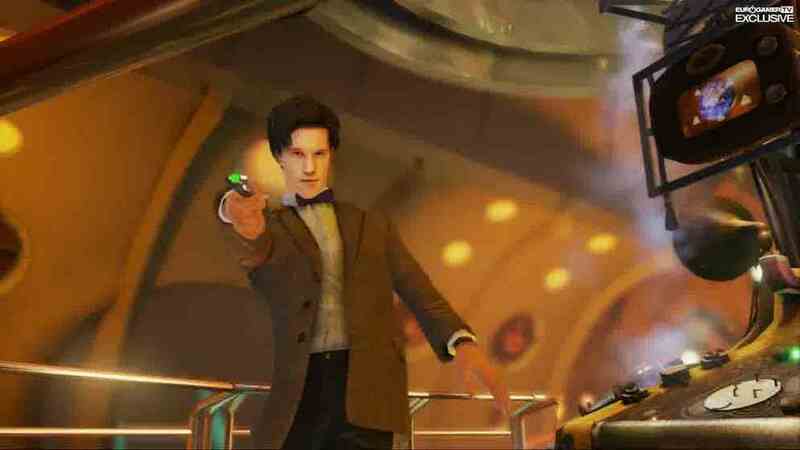 Capaldi spending for console games, BBC decides. It's last week if you've travelled two weeks in the future. Inevitably, with such a litany of flaws weighing it down, the game does little to truly engage with the universe it has inherited. Spirited voiceovers aside (and the fact the lead character wears a tweed jacket) there's little here that makes The Eternity Clock a true Doctor Who game. The show may be famous for people running down corridors and for the Doctor's sonic screwdriver providing a handy deus ex machina solution to some pressing technobabble emergency, but that's surface-level stuff, and this game digs no deeper. Doctor Who is about the people he meets, the places he goes, and the impact he has on them. He doesn't push crates, he talks and thinks. He doesn't solve childish puzzles, he solves ethical and moral problems. There's a whole intellectual and emotional aspect that is integral to the show's appeal that The Eternity Clock completely ignores. That a game that can't even get platforming right doesn't grapple with such ambitious concepts is unsurprising, though no less disappointing. But we're Doctor Who fans, and disappointment is our badge of pride. We survived Love & Monsters and we'll survive this. The Eternity Clock is shambolic and underfed, even by the Timelord's previous low gaming standards, but we'll endure and move on, as always. If we had a TARDIS we could just nip ahead to the day when a game finally gets the Doctor right. It'll happen eventually. For now, locked as we are in our entropic temporal path, we'll just have to keep waiting. 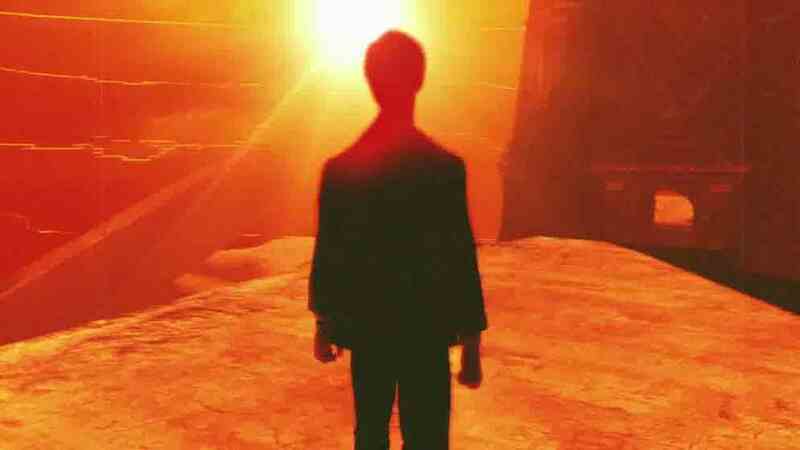 Supermassive shows off new gameplay trailer.